You just can’t beat the fall colors during the evenings this November. And it’s even better with a box full of grouper and triggers. 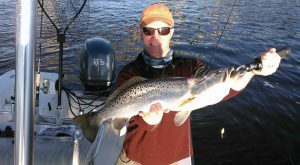 November 13th, the morning started out with a big 8lb Gator Trout. 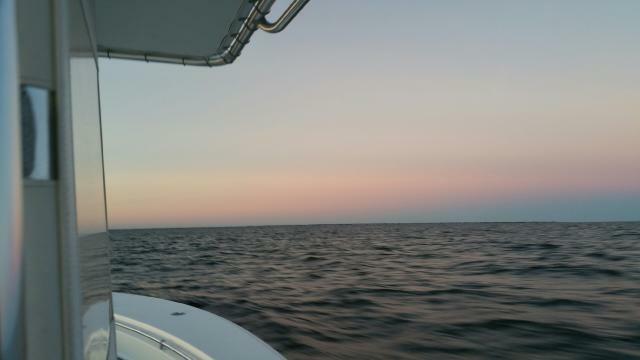 Had a fun trip in the evening too. 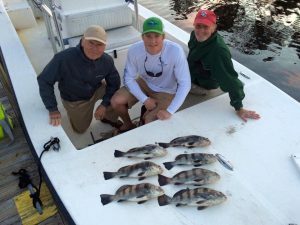 Low tide messed up the bite, but we were still able to catch over 40 black drum with some nice keepers. 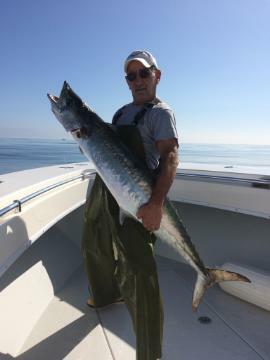 The King Mackerel are still a plenty this November, just check out this catch!